The Bank is actively involved since the year 1973 in non-profit activity called Community Services Banking. 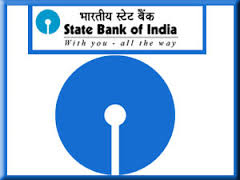 The origin of the State Bank of India goes back to the first decade of the nineteenth century with the establishment of the Bank of Calcutta in Calcutta on 2 June in the year 1806. Three years later the bank received its charter and was re-designed as the Bank of Bengal. A unique institution, it was firstly started as the joint-stock bank of British India sponsored by the Government of Bengal. The Bank of Bombay (15 April 1840) and the Bank of Madras (1 July 1843) followed the Bank of Bengal. These three banks remained at the apex of modern banking in India till their major amalgamation as the Imperial Bank of India on 27 January 1921. The Bank is actively involved since the year 1973 in non-profit activity called Community Services Banking. All the branches and administrative offices throughout the country sponsor and participate in large number of welfare activities and social causes. Its business is more than banking because it touches the lives of people anywhere in many ways.Primarily Anglo-Indian has been the creations, the three presidency banks came into existence either as a result of the compulsions of imperial finance or by the felt needs of local European commerce and were not imposed from outside in an arbitrary manner to modernise India's economy. Their evolution was, however, shaped by ideas culled from similar developments in Europe and England, and was influenced by changes occurring in the structure of both the local trading environment and those in the relations of the Indian economy to the economy of Europe and the global economic framework. The business of the bank was initially confined to discounting of bills of exchange or other negotiable private securities, keeping cash accounts and receiving deposits and issuing and circulating cash notes. Loans were restricted to Rs.one lakh and the period of accommodation was to be confined to three months only. The security for such loans was public securities, commonly called Company's Paper, bullion, treasure, plate, jewels, or goods 'not of a perishable nature' and no interest could be charged beyond a rate of twelve per cent. Loans against goods like opium, indigo, salt, woollens, cotton, cotton piece goods, mule twist and silk goods were also granted but such finance by way of cash credits gained momentum only from the third decade of the nineteenth century. All commodities, including tea, sugar and jute, which began to be financed later, were either pledged or hypothecated to the bank. Demand promissory notes were signed by the borrower in favour of the guarantor, which was in turn endorsed to the bank. Lending against shares of the banks or on the mortgage of houses, land or other real property was, however, forbidden. Indians were the principal borrowers who were against deposit of Company's paper, while the business of discounts on private as well as salary bills was almost the exclusive monopoly of individual Europeans and their partnership firms. But the main function of the three banks, as far as the government was concerned, was to help the latter raise loans from time to time and also provide a degree of stability to the prices of government securities. 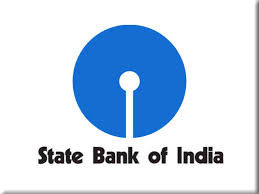 A major change in the conditions of the operation of the Banks of Bengal, Bombay and Madras occurred after 1860. With the passing of the Paper Currency Act of 1861, the right of note issue of the Presidency banks was abolished and the Government of India assumed from 1 March, 1862 the sole power of issuing paper currency within British India. The task of management and circulation of the new currency notes was conferred on the Presidency banks and the Government undertook to transfer the Treasury balances to the banks at places where the banks would open branches. ICRA Mutual Fund Awards in the year 2012 For Various Schemes. In the year 2011 the Readers Digest Awards For Trusted Brand in Fund Management. Category and ICRA Mutual Fund Awards 2011 For Magnum Income Fund - Floating Rate Plan - Long Term Plan. In the year 2010 ICRA Mutual Fund Awards 2010 For Magnum Global Fund. ICRA Mutual Funds Awards 2009 For Magnum Tax Gain Scheme 1993. The Lipper India Fund Awards 2009 For Various Schemes. Outlook Money NDTV Profit Awards 2008. The Lipper India Fund Awards 2008. Magnum Balanced Fund - Dividend. ICRA Mutual Fund Awards 2008. Outlook Money NDTV Profit Awards 2007. CNBC Awaaz Consumer Awards 2007, The Lipper India Fund Awards 2007 For Various Schemes. ICRA Mutual Funds Awards 2007 For Various Schemes. CNBC TV18 - CRISIL Mutual Fund of the Year Award 2007 For Various Schemes.